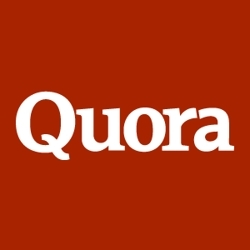 Quora is a social network that collects questions and answers created, edited, and organized by everyone who uses it. I signed up at the start of the year (follow me on Quora!) and already engaged and leaving some very interesting answers were several Spotify pioneers including Spotify founder and CEO Daniel Ek. Every wondered how Spotify really got its name? Or how many songs Spotify stream’s in a year? Or how Spotify splits its contribution to artists? Read on for more! Here are some choice Q & As from Quora’s page of Spotify Questions, as replied to by Spotify staff. How did Spotify get started? How did the founders conceive the idea? 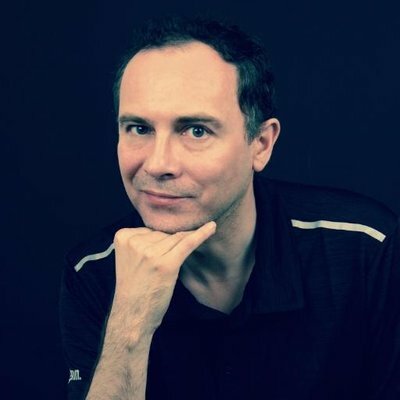 We (Martin Lorentzon and I) met 2005 when Martin moved back from Germany where he had been based with his old business. We discussed a lot of ideas back and forth and spent a lot of time hanging out in my apartment in a suburb to Stockholm. We pretty much spent all of the autumn just discussion a ton of ideas. I remember however that we sat around my media htpc machine quite a lot and thought that it was a cumbersome to get content, despite the technology having been around (Napster) since at least 2000. I think that’s why we got stuck on the idea of Spotify. For us it was very much that we started out as friends, both wanting to do things together. The fact that we were very different, both in skill-sets and as individuals has only helped us. I think you can be very different as long as you have the same moral compass. .How did Spotify get its name? This again takes us back to my flat that I had out in the suburbs of Stockholm. Martin and I were sitting in different rooms shouting ideas back and forth of company names. We were even using jargon generators and stuff. Out of the blue Martin shouted a name that I misheard as Spotify. I immediately googled the name and realized there were no Google hits for the word at all. A few minutes later we registered the domain names and off we went. We were a bit embarrassed to admit that’s how the name came up so our afterconstruction was to say that Spotify stems from SPOT and IDENTIFY. .How does Spotify split its contribution to artists? First, Spotify does not split anything directly with artists. Instead we have different layers of rights that Spotify has deals with. Those are record labels, publishers and collecting societies. Artists/Composers in their turn have deals with the above mentioned parties. The deals artists have with labels/publishers tend to differ quite a bit and therefore it’s impossible for me to say what an artist actually gets in the end. Spotify has three buckets of revenue. We get revenue from advertising, subscriptions and paid downloads. All of them are very different as a subscription is €10, a song is roughly €1 and advertising is a pool of revenue based on ads per month. We share the vast majority of all revenue we get in to all the right-holders. Our part in the end is not that different from how the Apple app store works, where Apple sells apps and get a small percentage. What makes it slightly complex is that we have many more layers of rights in many different countries. It’s important also to mention that what Spotify is trying to do is to increase the amount of people who are consuming legal music. Our view is that there’s so many people enjoying music out there, every single day, but the massive portion of them are currently not paying anything. We are trying to bring them back to paying for music again. How long does it take for a song or album to show up in Spotify? Spotify updates the music indexes around 2-3 times a week. We are working on a new version of our metadata system that will allow us to do more frequent updates with higher reliability. .How often does Spotify update users’ top artists and tracks? .Can you request an album to be added to Spotify? 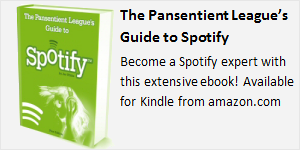 No, Spotify does not take direct album requests but rather try and license the widest amount of music possible. .How many songs does Spotify stream in a year? It is really interesting seeing how much of Spotify’s catalogue actually gets played, opposed to say the music download stores. Normally in a digital music store, around 80% of the catalogue has never been bought by anyone. In Spotify’s case it’s almost the reverse. 70% of our 11m songs are being played during a year. With social sharing and more cultures exploring different kinds of music, we have started to see behavioral shifts. For instance the band Glasvegas wasn’t even supposed to release their record in Sweden, but did so, made platinum on Spotify and sold out their shows in less than 30 minutes. All this due to people liking their music and sharing it across borders. .How will music labels make money, if at all, over the next five years? I think the point I’d like to emphasize is the fact that the legal music market is still relatively small to the huge amount of users that today consume music online. In China there’s more than 380m internet users, where one of the top things they do on the internet is consuming music. Needless to say there’s not a lot of revenues coming out of it – yet. Even in US I would argue that there’s a relatively small portion of people (3-4%) who account for the most revenues from digital music. This when more people listen to more music now then ever before, and from a bigger diversity of artists. All of these are indications to me that the overall market will grow. .Is the freemium model cannibalizing sales of digital downloads in the music industy? We could probably be sitting here arguing data which might indicate one or the other (even though I’ve never seen any clear evidence of any cannibalization). 1. There won’t be much of a recording music business left soon if we don’t do anything about it. Currently, it declines with about $2-3bn per year and is roughly now a $15bn business. 2. There’s hundreds of millions of people (if not a billion) already enjoying music online. Only a fraction of them are paying. So the actual value of each music listener is really low. We need to focus on growing the legal music market. The real market is hundreds if not billions of people around the world. I still haven’t come across a single individual who does not like music at all. 3. The CD is still the best user experience. It is because it is ubiquitous. You can buy a CD from any store and put it in any CD-player (irrespective of brand), you then press play and it just works. That’s how easy digital music needs to get, and that’s also the hope of getting people to pay for music again. It needs to be dirt simple, ubiquitous and convenient to pay. For much more, check out the quora page of Spotify questions.